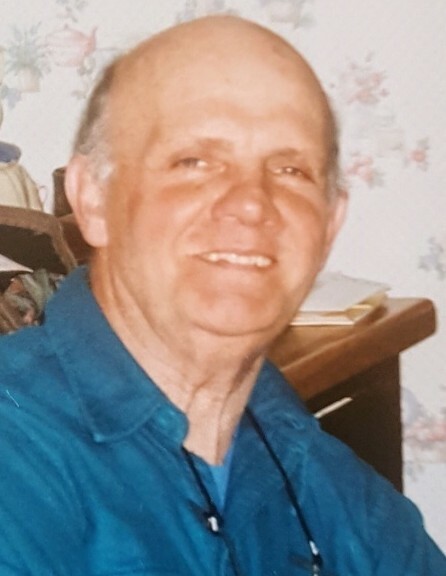 Richard Edison Carter, Sr. passed away surrounded by family on Wednesday, November 21, 2018, after a brief illness. He was born in Kezar Falls on April 5, 1932 the son of William H. and Florence R. (Champion) Carter he lived in Portland for most of his life. Growing up, he loved spending time at the Boys’ Club and skating at Deering Oaks with his many friends. An avid sports fan, Richard played football at Portland High School and was co-captain of the team. He graduated from PHS in 1951 and remained a loyal Bulldog fan for his entire life, only cheering for the Rams or McAuley when his children or grandchildren were competing. Richard served in the Army during the Korean War attaining the rank of corporal. He was a member of the Honor Guard protecting General Charles Canham. Upon returning home, he worked at American Can Company where he was employed for 44 years until retirement. On April 5th, 1953, Richard married Rose Valente, his beloved high school sweetheart. Together for over 65 years, they had five children and lived in the same Montrose Avenue home for decades. Richard did much of the work on the family home, ensuring his family had a comfortable place to live and a yard in which his children and grandchildren could play. Family was first and foremost in his life. He held court at the head of the dinner table telling jokes and stories during Sunday dinner and holidays with extended family. Richard also loved to watch his Patriots and Red Sox; he would sit in his living room chair and you could often hear his commentary from other rooms - especially when the game was going poorly for the New England team. Though he loved to joke around and could often be quiet, Richard was an insightful man who his family could turn to for a listening ear and wise advice. He was well respected and loved by all. He will be deeply missed by his wife Rose, and his surviving family: daughter Kim Provencher, and her husband Peter of Wilmington, NC; daughter Carolee Carter of Falmouth; son Richard and his wife Betsy, of Portland; daughter Diane and her husband Steve, of Westford, MA; son David and his wife Laura, of Darien, CT, and a special nephew Tom Valente, his ten grandchildren; and three great-grandchildren, and several nieces and nephews. Richard is predeceased by one brother and three sisters. The family would like to thank the staff at Gosnell Hospice for their heartfelt care during a difficult time. Donations may be made to the Portland Boys & Girls Club. Visiting Hours will be held from 3 pm to 7 pm on Monday, November 26, 2018, at A.T. Hutchins Funeral Home on Brighton Ave A funeral mass will be held at 10:00 AM at St. Joseph’s Church on Stevens Ave. on Tuesday. November 27, 2018. Burial will follow in New Calvary Cemetery in South Portland, with military honors.